I want to honor all my family who are now serving or ever did serve in any branch of our military. I am grateful for all you gave to allow our way of life to be based on Freedom and Peace. 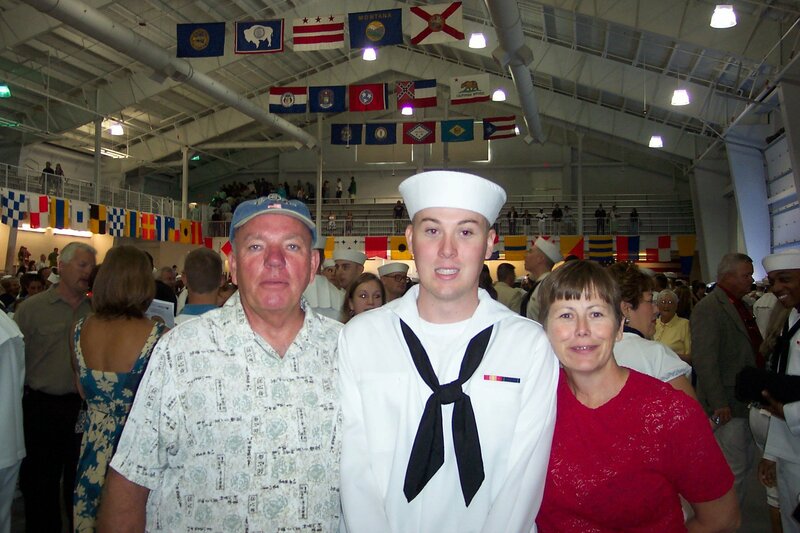 My family is large and has a rich military history, as I started to gather up the names of all my family who served in the military I soon realized it was a much bigger project than I could do justice to. I also was afraid that even though I would not mean to, I most likely would leave someone name off the list. So instead of listing every military family member names I will proudly say that our family has many who have served in all branches of the Military, and in all the conflicts in America’s history from the Revolution War to some serving active duty now. Our family’s military history has not been with just American history, the more I have learned about my family’s military experiences the more amazed I became. I am proud to say there has been many in my family who played key roles in many major world conflict throughout much of our recorded history. There is the two Tanner brothers (later change the family surname to Danner) Michael Danner (1696 – 1782) (my paternal 6th great-grandfather) and Hans Jacob Danner (1698 – 1771) who were the sole survivors of their entire family. There had been many generations who were military soldiers who fought in the Switzerland and Germany area during a period in history we now call the “Christian Crusades”.There were many Kingdoms that were battling for more power and land to increase their wealth. There is King Harald III of Norway Sigurdsson (1015- 1066) my paternal 27th great-grandfather. Harald was the last great Viking king of Norway and his invasion of England and death at the Battle of Stamford Bridge in 1066 proved a true turning point in history. It marked the end of the Viking age and beginning of the High Middle Ages. There is Dardanus Darda King of Dardania TROY, Birth 1470BC in BC in Samothrace, Thrace, near Marmara Sea, Turkey, and Death 1414 in BC in Rameses, Goshen, Egypt; he is my paternal 105th great-grandfather. Here is what I was able to learn about Dardanus; “One of the sons of Zerah (the scarlet thread) was Dara or Darda or Dardanus as called by the first century historian Josephus, or Darius as referred to in various Trojan genealogies. Darda is accredited as the founder of the city of Troy. Darda’s descendants never entered the Promised Land or took part in the Exodus of the Israelites. Apparently they left Egypt within those 400 years before there arose up a new king over Egypt. He was involves in the “Trojan wars”. Then there is King David Israel, Birth 1063 in Bethlehem, Judah, Israel and Death 1015 in Yerushalayim, Israel/Jerusalem, Judah, Israel; he is my paternal 108th great-grandfather. I really don’t need to go into much detail as to what a Military warrior King David was. I am proud and honored to be part of this family with so many Military warriors. Thanks for all who served with honor. An extra depth of gratitude to the ones who “gave their all” in the quest for peace and freedom. 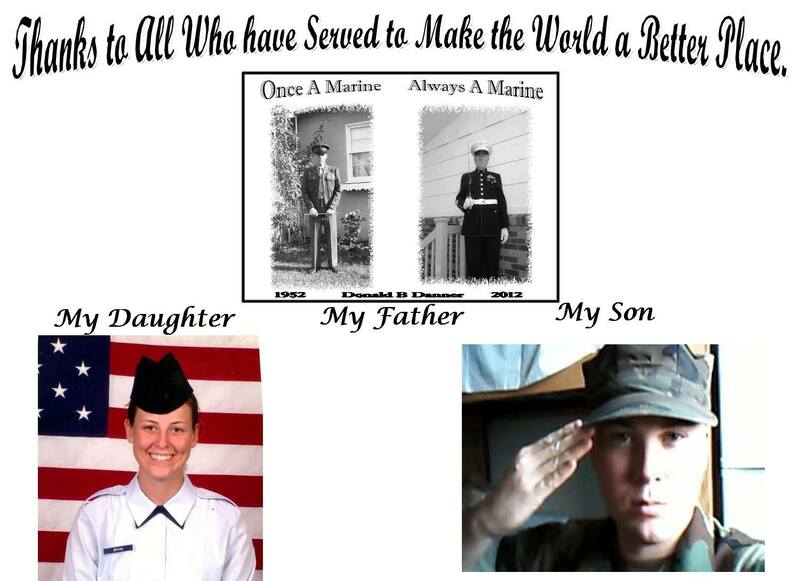 While this is still very much a work in progress, I would like to end with sharing the “Military” page I am creating to honor my Father, Donald Barrett Danner who served our country with honor in the US Marine Corps, and is still serving in his local area with their Veterans events and in his community to do what he can at 84 to keep America strong and the land of the Brave. I come from a family with a rich Military legacy. However,I always thought that Memorial Day was to honor ALL of our family who had died. I thought it was on Veterans Day that we honored and remembered all those who served in the Military, living and dead. So I did what I seemed to do now when I have a question… I went online and “Goggled” it so I could learn what the answers are. Here is what I found online to answer my question. There is a distinct difference between Memorial Day and Veterans Day. This is the difference between the two days according to the VA website. While those who died are also remembered, Veterans Day is the day set aside to thank and honor all those who served honorably in the military – in wartime or peacetime. In fact, Veterans Day is largely intended to thank LIVING veterans for their service, to acknowledge that their contributions to our national security are appreciated, and to underscore the fact that all those who served, not only those who died, have sacrificed and done their duty. So, as I made the rounds through ten different cemeteries this year placing flowers on all my family members graves, I asked myself, why do we put flowers on all our family members’ graves during Memorial Day, and not just our Military family members? After all, unless our family members died in service to our country, Memorial Day is not about them. While it is always appropriate to honor our loved ones, and remember them and even visit their final resting places, this is not the point of Memorial Day. SO, after some careful thought here is the reason why I feel that my family places flowers on ALL our family graves. We are carrying on the “Traditions of Our Fathers”. It’s not to take away from honoring our Military ancestors and the sacrifices they made in serving our country, but rather to extend our honoring to all our family members, whether they served in the military or civilian life, the family legacy we enjoy now is because of each ancestors mark in life for the time period they lived. I say “Thank-You” to all my ancestors for allowing things to unfold the way they did in their lives that allows me to enjoy the many blessing I have in my life, and that gives me a wonderful family legacy to pass on to my children and grandchildren. But, to stay in line with the “Traditional Meaning of Memorial Day”, I want to focus the rest of my May 2014 blogs on my Military ancestors and tell some of their stories. I hope some of the rest of you will also share some of your family Military ancestor stories too. I hope everyone has a safe and enjoyable Memorial Weekend 2014. 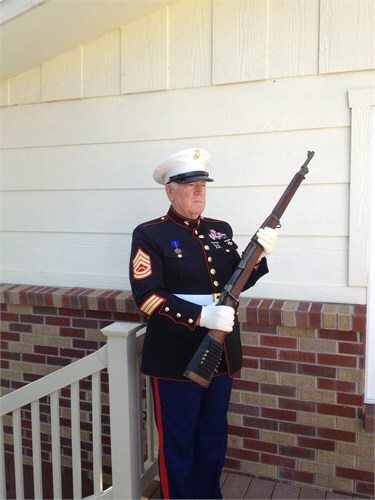 Even going on 84 years old, My Father looks handsome in his Marine Dress Uniform. 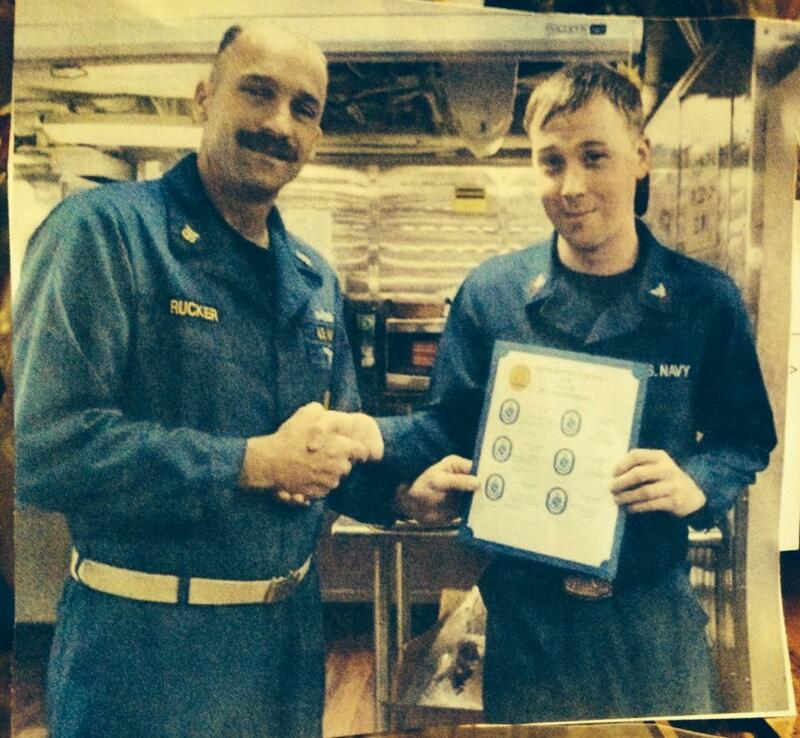 While station in Japan, our son Donald received an award for when he came back to his ship on Friday night, there was a fire on the ship, and his quick actions was able to get the fire put out quickly and prevent major damage. Yes, we are proud Navy Parents. My daughter, Kristine, did not take many photo of her in her Air Force uniform, but I want to make sure she know we are proud parents of her as well for the years she served Active Duty Air Force. 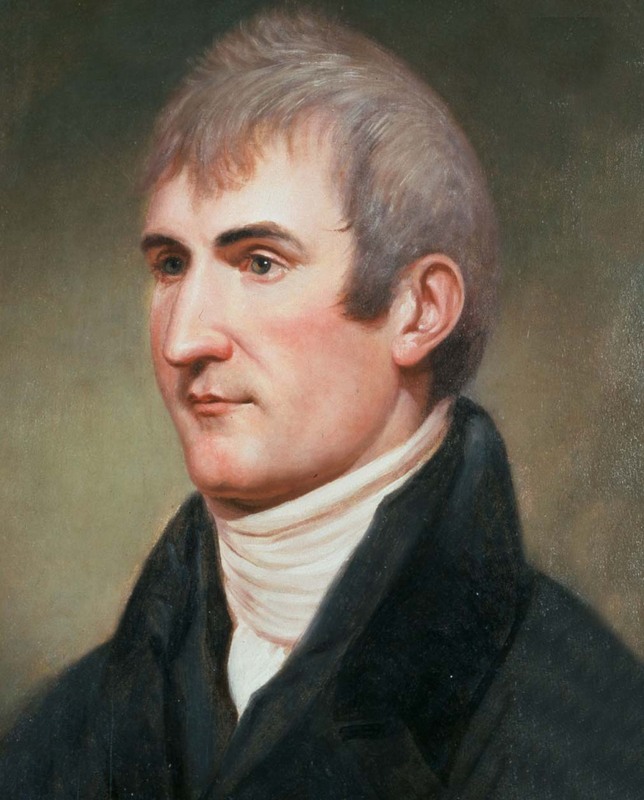 Meriwether Lewis (1774 – 1809) is my 9th great grand-uncle. The Lewis and Clark Expedition, also known as the Corps of Discovery Expedition, was the first American expedition to cross what is now the western portion of the United States, departing in May, 1804 from St. Louis on the Mississippi River, making their way westward through the continental divide to the Pacific coast. I know as a child I remember my grandmother telling us we was related to Meriwether Lewis, but I was never sure how we tried into him, so when I found out how, it was if I discovered a long-lost family member. I know there are other famous family members on all the family lines, that as we discover them in our family it gives us a sense of pride to know we are related to those who have made a mark in history. So what famous family members do you have in your family? My mother’s life began in her parents’ home on a cold winter night on January 23, 1932. 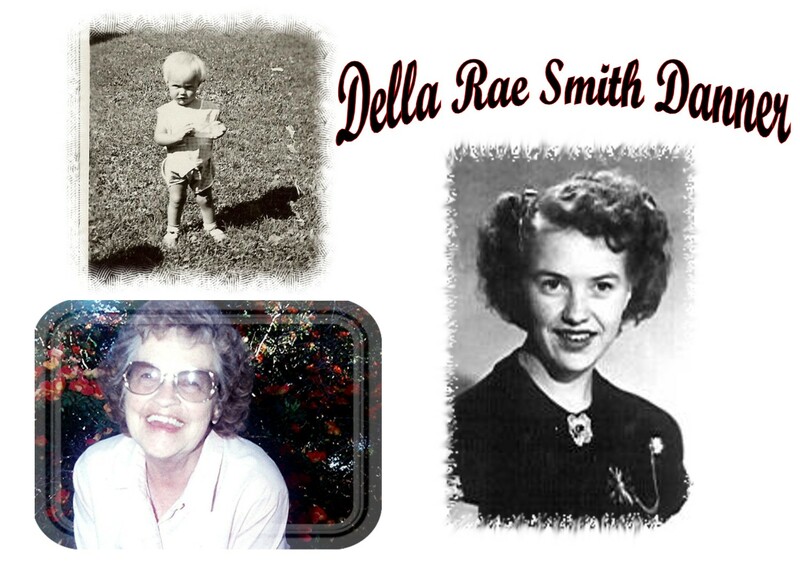 Her parents, Hyrum Eldoras and Lema Lucille Critchfield Smith gave her the name of Della Rae Smith. 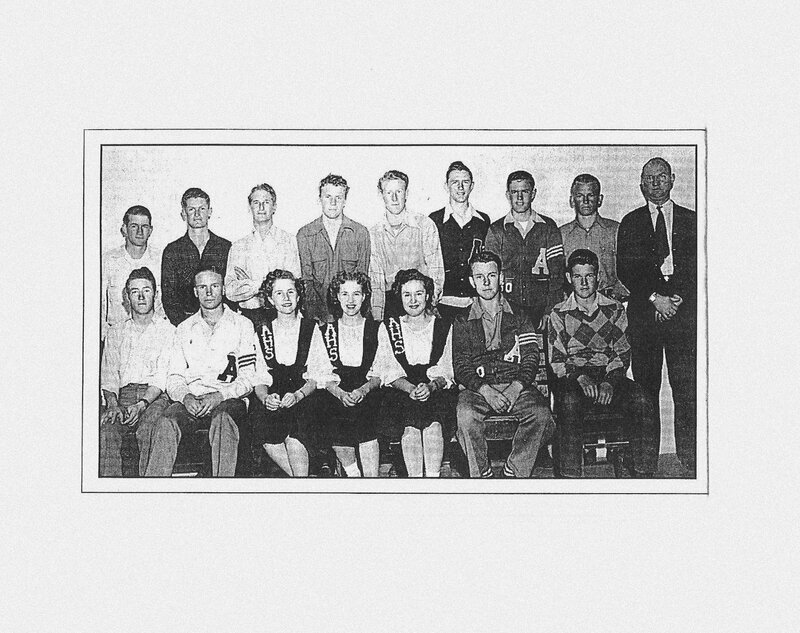 She spent her childhood and youth living in a small Southern Idaho town called Albion. She had an older brother Merl an older sister Edna and a younger brother Jerry. Her father was a carpenter, yet during the ‘Depression Years’, he did whatever jobs he could find. Her mother was a natural cook that could make everything she cooked taste like a bit of Heaven. My mom was your average teenage girl of the 1940’s. She played the trumpet in her school band, was a cheerleader and was a natural at playing sports. She loved to be involved in anything and everything that was fun. Mom had a smile and laugh that made anyone around her instantly fall in love with her. I was told that my father Donald Barrett Danner, told my mother even before they had started kindergarten he was going to marry her, a promise he kept 15 years later on December 2, 1950. 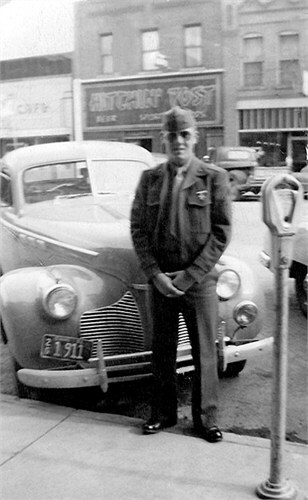 By the end of 1951 my father’s Marine Corp career had them living in Barstow, California and the proud parents of my oldest brother Donald Kay. Over the next 15 years my parents welcomed to their family my other brother Fred, and my sisters Joann, Theresa, and my baby sister Kathy. I came into the family between my sisters Theresa and Kathy. In 1967 my father took a career opportunity that moved our family from Southern California to the Island of Okinawa which is south of the mainland of Japan. We would spend the next six and half years living there. My father’s job had him often traveling back and forth between Okinawa and Vietnam leaving my mother to take on most of the raising of their six children and working her full time job at the base credit union. 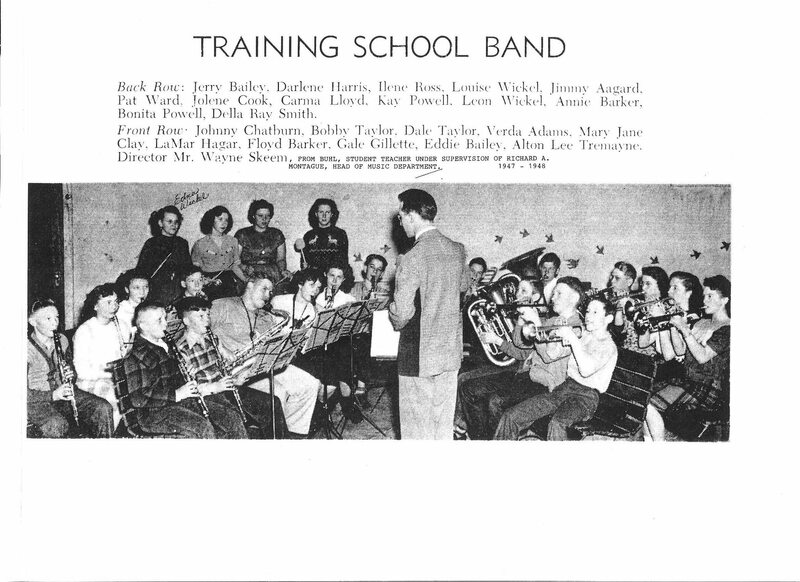 During this time period my three oldest siblings graduated from high school, and all of us children were involved in many different areas that interested us, from Sports, to being in the school plays, in choirs, and learning to play different musical instruments. My mother supported each one of us and was our # 1 cheerleader. Her father passed away in 1970 and she went home for several months to help her mother and siblings to get his affairs in order. Whatever life sent our family’s way, my mother would tackle it, giving it her all and doing her best at each task she needed to deal with. My parents always had an “Open Door” policy in our home. 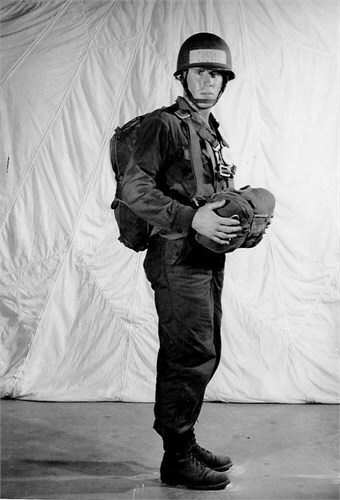 There were days, after mom had already put in a full 8 hour shift at her job, she would come home to get a call from my dad saying another group of young Marines or Sailors had come in and was on their layover going to the Vietnam war. Then he wanted to know if he could bring some of those who had nowhere else to hang out that night to our home for dinner. We were not rich in the sense of “Money” but when it came to love, and showing compassion for our fellowman my mother made sure our home was overflowing with this important kind of wealth. We always knew that anyone who needed a place to rest or just a place and family to enjoy that our mother would always have a place for them to come. This also included any stray dog or cat that my sister Theresa was famous for somehow finding and bringing home. Life was never dull at our childhood home. Mom had no problem getting right in the middle of whatever silly, crazy things us kids or our dad would want to do. I remember one night when we had some young Marine’s over and my older brother, Don’s band was practicing for one of their upcoming events, they talked mom into being the lead singer for the song “Gloria”. She was rocking out and hamming it up as she sang to make us all laugh. Then to our surprise we looked to see standing at the front door, which was always open with just the screen door to keep the bugs out, some men from the church who had come to talk with my father. We all laughed so hard over how funny the expression on the men’s faces were over seeing our normally shy mother being so silly and outgoing. “A mother’s love for her child is like nothing else in the world. It knows no law, no pity. She dares all things and crushes down remorselessly all that stands in her child’s path.” I don’t know who said this, but it is so true when it comes to my mother. She was a conservative, quiet lady in public. She was 5 feet tall and most of her life she never weighed much over 100 pounds. She was loyal, kind, hardworking, and a talented lady. She was someone you wanted on your side, but Lord help the person who was foolish enough to mess with one of her family members. When mom released her “Mama Bear” hold on, you were in for a wild ride, and trust me Mom always achieved whatever her goal was when she was in the “Mama Bear”mode. I was a sickly child who was born with no immune system, so I spent pretty much the first years of my life in the hospital. This had to have been so difficult for mom, to have four older children needing her attention at home and a baby girl who cried anytime she had to leave to go home. When I could manage to break out of my “Oxygen Tent” I would tackle her as she was walking down the hallway trying to leave to go home to her other children. I remember her sitting by my hospital bed reading to me for hours on end. She would hold my hand threw the plastic cover area that allowed her to hold my hand and sing me songs until I fell asleep. I still have and cherish the plastic toy lamb that she brought to me when I was in the hospital when I was three years old. Mom would make holidays so special and something I looked forward to. It was not the big grand over the top things, it was the simple things that made her children know she loved us. An example was she would bake our birthday cakes with a quarter that was wrapped up in foil, and we each were excited as we received our piece of birthday cake. We ate our cake very careful to make sure we did not eat the quarter by mistake, and could not wait to see who would end up with the treasure of the quarter. Back then a quarter was a lot of money to us kids. I remember before I started kindergarten, and all my siblings were in school, Mom would give me some small chore to do in the morning and then before lunch she would pay me a nickel, and take me to the local store in Hinkley that was similar to our present day 7-11 stores. I could buy me a box of Cracker-Jacks and I would take it home and put it on the table. I would eat my lunch, and then take my nap. After nap time I could watch my favorite TV game show “Let’s Make a Deal” and eat my Cracker Jacks. For me, life just could not have been happier than those pre-school days of me, my mom, and my Cracker Jack snacks. Mom loved to do crafts and make things to make our home feel cozier. While living in Okinawa my mom took classed to learn to make Japanese dolls, one of which I proudly displayed in my home in our music room. Mom learned to do Japanese embroidering and made many beautiful pictures, which I believe each of her family members received one. I ended up with the photo of a tiger coming out of the forest that I love, every time I look at it I think back to those childhood days as I sat and watched mom working on her needle craft art work. I am a left hander, making it difficult for everyone to try to teach me any crafts. My mom was very patient as she would sit directly in front of me and teach me how to crochets. It took me forever to learn how to do it, but mom never gave up on me. I remember her and me working to crochet flower roses or carnations and put them in nice vase displays so we could sell them at our church auctions to help raise money for needy causes. There were all kinds of cute crochet patterns my mom taught me to make. I would make the items and sell them and use the funds I earned to buy items like china and silverware for my “Hope” chest, so when I got married I would be ready to be the kind of mother my mom was. I remember after we moved from Okinawa to Virginia in 1973, I had one of my lungs collapse and had pneumonia. I was deathly ill for several months. Mom made me a cot bed right by her side of my parent’s bed. She would get up every hour to make sure I at least got one tablespoon of water drank every hour of the day. Whatever one of her children’s needs were, mom would move heaven and earth to make it happen. Mom went with me when our first child, Kristine was bore, because my husband was in Tech School in Texas at the time with his Air Force job. Fall 1995, Pomona Hospital California. Sometime in mom’s late 40’s or early 50’s she was diagnose with Rheumatoid arthritis, Sjögren’s syndrome, and Lupus. In spite of the fact that we could tell she was in lots of pain all the time, mom would not complain or whine about her illnesses. She did what she could to control her illness but she did not let her illness control her. 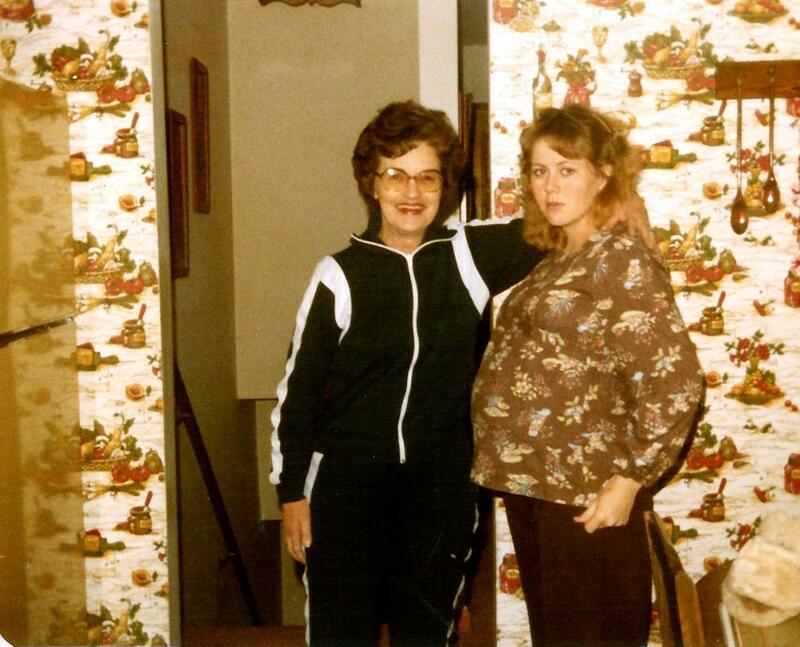 Mom stayed as active as she could and she loved to play her organ. Mom and dad moved back to their childhood town of Albion, Idaho when they retired. She loved it whenever anyone of her 19 grandchildren would come for a visit. She made sure to give them some money so they could ride their bikes to the local store and buy some ‘penny’ candy. In the fall of 1995 my mother suffered a Brain Aneurysm while in California visiting her family and dealing with some legal matters with a case our family was involved in at that time. Luckily my aunt only lived a few blocks from the hospital and they were able to get her there fast. The doctor told my father that mom had died on the operating table a few times, but they had been able to bring her back. Despite the fact we were lucky she had survive this ordeal the family needed to prepare ourselves that mom would most likely be in a weaker state and might not be able to talk or know who we were. 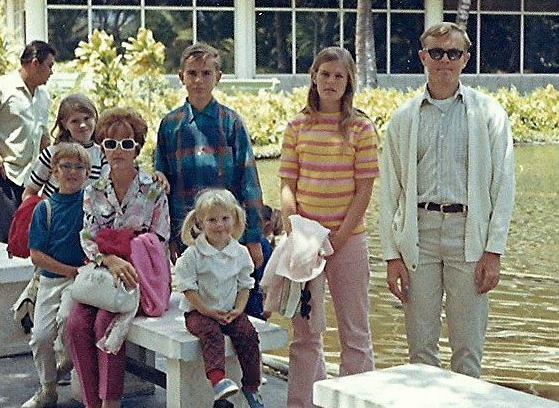 I lived in Texas at the time, my brother Fred was living in England, Kathy was in Idaho, Joann and Don lived in Utah, and Theresa lived in San Diego. We all went to Pomona California to spend some time with mom while she was in the hospital. We did not know it at that time, but it would be the last time our whole family would get to spend time together while all of us was still alive. Mom’s recovery at that hospital took many months. Yet the miracles we saw unfold during that time brought us closer together as a family. While my mother was fighting for her life on the operating table in Southern California, her younger brother Jerry died in Idaho. When we found out about Jerry’s death we decided as a family that it was best not to tell mom because it would upset her too much, and in her weakened condition we did not want to chance losing mom too. Mom came out of her unconscious state a few days after her surgery. To all of our surprise mom was able to talk, and she knew who everyone was, except for me. For some reason even though she knew who her mother was, and even if both grandma and I were in the room at the same time, she still would say I was her mother too. It took mom some time before she was able to know who I was, but after what she been through, I felt God had been kind to our family to allow us to have mom with us still. Mom was not the same as before the Aneurysm, she was more childlike, and only talked about simple matters. A few days after moms operation, we were all sitting around her hospital room, and she started to tell us about what happened when she had died. She said in a matter of fact way, as if this was something that happens to everyone, Mom said, “Yeah, I died, and dad and Jerry (the brother who had just died) was there to meet me. They said they could not stay and that I had to go back to life, because I had some unfinished stuff to do with my family there. I said to dad I do not understand dad, why does Jerry get to stay, I want to stay too. Dad told me it’s not my turn and I needed to go back, but I would be with them soon enough.” We all looked at each other, and said “OK which one told mom about Jerry”. Before anyone of us could answer, mom said, “None of you, I just know because I got to say goodbye to him when I was with him and dad in Heaven.” I had heard of other “after death” experiences but had never know anyone personally until my mother. With me being the “Doubting Thomas” kind of person that would not normally have believed my mother’s “After Death” story, I became a firm believer that day of her “After Death” story. We were blessed to have our mother for another three years. Many good things happened in those last three years. We all learned not to take life for granted, or our mom. As teenagers, we thought she was a mean, moody, controlling mother, as most teenagers feel about their parents during those years. As young adults with children of our own, we had learned how difficult being a parent really is. We stopped judging mom for every perceived fault she had, and started to see her for the strong, wise, woman she always was. Life had dealt her some difficult hands, and yet she could handle them far better than any of us. While mom was firm on her parenting skills, she always loved each of us unconditionally and she never gave up on us, when so many others had. 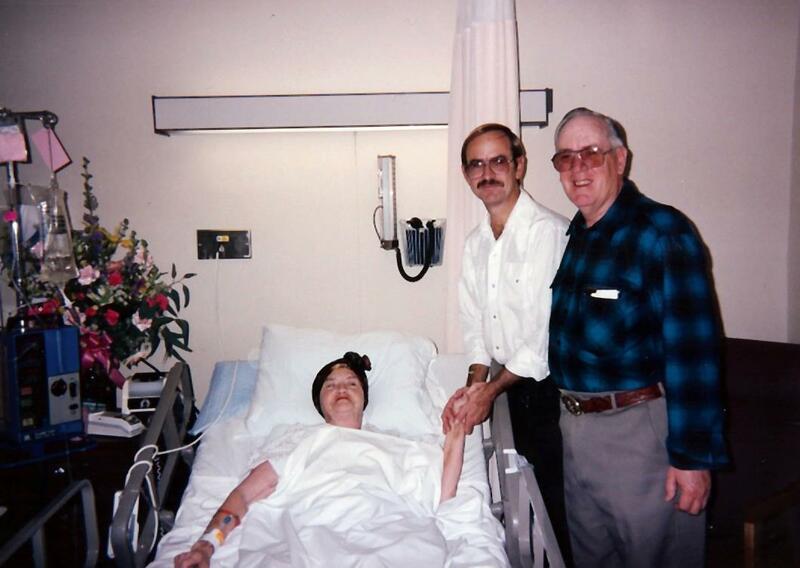 When a stroke finally claimed mom’s life in 1998, she had lived her life better than most. It has been almost 16 years since moms death, yet her influence is felt daily by all of us who were blessed to know and love her. Each member in her family is stronger, and wiser, and able to love and give, because we have a mother that was not afraid to live life to the fullest, and give her all to those she loved. To all the unselfish moms out there who traded eyeliner for dark circles, salon haircuts for ponytails, long baths for quick showers, late nights for early mornings, designer bags for diaper bags, and wouldn’t change a thing. Happy Mother’s Day! To My Mother who is now in Heaven with my brother Fred, I say Thank you mom for everything. I love you, I honor you, and I miss you! Here is the data and resources I was able to find on Jacob Danner, my dad Donald and Uncle Gerald Danner’s 4th great grandfather. •	Source Information: Edmund West, comp. Family Data Collection – Births [database on-line]. Provo, UT, USA: Ancestry.com Operations Inc., 2001. •	Source Citation: Source number: 551.000; Source type: Electronic Database; Number of Pages: 1; Submitter Code: LLH. •	Source Information: Ancestry.com. 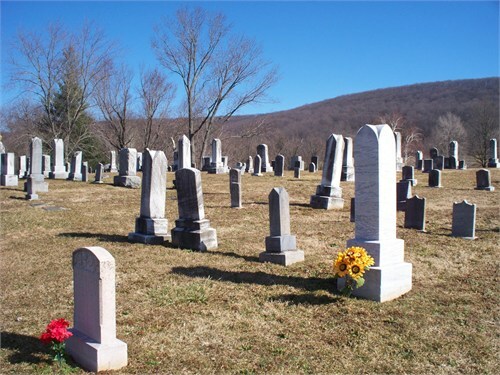 Web: Maryland, Find A Grave Index, 1637-2012 [database on-line]. Provo, UT, USA: Ancestry.com Operations, Inc., 2012. Original data: Find A Grave. Find A Grave. http://www.findagrave.com/cgi-bin/fg.cgi: accessed 4 February 2013. Decennial Census, territorial/state censuses, and/or census substitutes. •	Source Citation: Year: 1790; Census Place: , Frederick, Maryland; Series: M637; Roll: 3; Page: 157; Image: 463; Family History Library Film: 0568143. Original data: First Census of the United States, 1790 (NARA microfilm publication M637, 12 rolls) Records of the Bureau of the Census, Record Group 29 National Archives, Washington, D.C.
•	Source Information: Edmund West, comp.. Family Data Collection – Deaths [database on-line]. Provo, UT, USA: Ancestry.com Operations Inc., 2001. He was the son of Michael and Anna Bend Danner of Hanover Pennsylvania. His parents are buried at Bair’s Meeting House cemetery. He was married to Elizabeth Bechtel a daughter of Samuel and Magdelena Bechtel. A brother in Colonial America by Donald Durnbaugh cites a letter from a Nicholas Martin to Alexander Mack, Jr. dated 24 May 1772 at Conocacheague. Martin was a minister of the early Conococheague congregation who had previously been an elder of the Little Conewago church. Letter has the following ” As far as the brethren are concerned who were to be ordained, they did not come, nor did Brother Daniel Letterman and Brother Jacob Donner (Danner). This clearly shows Jacob was Brethren. Letter goes on to say ” there was much opposition against Brother Donner so that he could not be ordained with unanimity of the congregation. Became presiding Elder and Founder of the Codorus Church of the Brethren in *1758 in “Dunker Valley” between Loganville and Dallastown. *Purchased 840 acres of land in Woodboro, Maryland on 26 June 1762 and moved *there. Became elder of Beaver Dam Church of the Brethren, Frederick Co., MD. *Gleim reports he was Minister of Little Conewago Church. Last noted attended *Annual Church Conference during 1799 along with his brother, Henry. 9. Old Brownsville Church of the Brethren Cemetery, Brownsville, Washington Co., Md. Cemetery notes and/or description: Burials started here in the mid-1800s and continue to the present. It was previously the site of the church, which has been torn down and a monument erected in its place, giving some history. Brownsville Church of the Brethren built a new church on Rohrersville Road. 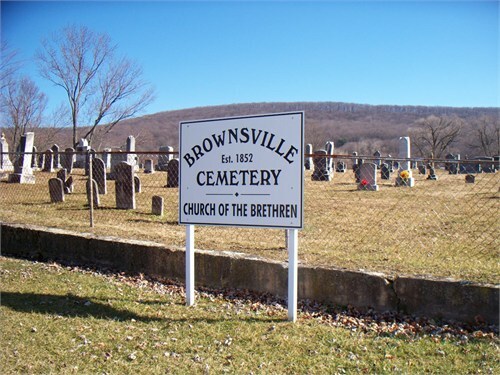 Brownsville Heights Cemetery, dating to the 1950s, is at that location. Questions about this cemetery should be directed to the Brownsville Church of the Brethren, 1911 Rohrersville Road, Brownsville, MD 21715. Phone #’s are 301-834-8538 and 301-432-8354. I am always looking for new free websites to aid me in my search for my family history. I find by reading others blogs and learning from what they have done in their family research I open new ways to find more about my family history. Below are a few of the website I have found from others that have helped me, so hope might be able to help you too. I would love everyone who reads this to share any free website you use that I can add to my list to use. This is a process that for me will always be a “Work in Progress” and “Learning on the Job” experience. No matter how long I have been at this Genealogy I find I can and need to learn new ways to approach and use the resources that come available in aiding and fine tuning my family history and make it as correct and accurate as I possible can. •	Finding Our Cousins: Learn how Puzzilla.org can open new branches for growing your family tree.The Puzzilla.org Descendants Viewer lets you see hundreds of descendants from an aerial view. Good Luck in Your Genealogy search for your family history! 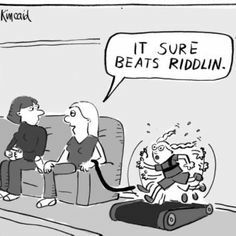 What old and new family traditions do you have? I had the pleasure of having two of my grandsons over for a sleepover this last Sunday night and then I watched them on Monday while their parents were at work. 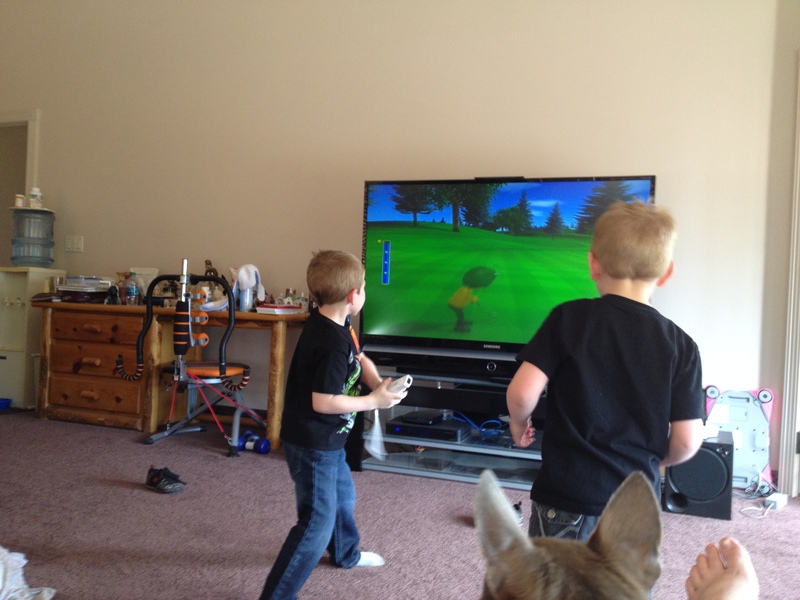 I forgot how much energy two young boys have, but what a joy it was to spend this time with them. To be able to see the world through the eyes of my grandchildren is a rare blessing that I am so thankful to get to do from time to time with all of my grandchildren. To open the door on Sunday afternoon to two over joyed boys that thought they had won the lottery to be able to get to do a sleepover at grandpa and grandma’s house. To being greeted with great big bear hugs and kisses warmed my heart. Then they both started talking at the same time, a million miles a minute at all the things they had planned to do in the next 24 hours. Of course there was the bubble bath in the over-sized jetted tub, with the over-sized rubber duck toys that grandma has been collecting since my children were little. There was the playing with the large Tonka Trucks and bike riding, and feeding the horses, and watching Netflix movies with popcorn and hot chocolate for breakfast, and working out in the garden helping to weed ( a chore for us adults but a fun game to see who can get the most weeds for the grandchildren) and playing Wii baseball and golfing, and board games, and logos, and a picnic lunch out on the deck overlooking the valley and their list went on and on, until I reminded them there is only so much this old grandma and grandpa can do in a 24 hour period, and let’s not forget we need to squeeze in a few hours of sleep. Needless to say they manage to fill as much as they could fit into the time they were here, so much so they both fell asleep on the drive to take them back home to their parents. This made me stop to think about the things I looked forward to when I went to visit my grandparents as a child. My father’s job with the Marine Corp kept us living far away from our extended family so the visits in the summer were our rare chance to enjoy time with our grandparents, aunts, uncles and cousins. My maternal grandparents lived in Southern California not far from Disneyland and the beaches. My paternal grandparents lived in a small southern Idaho valley town that has had six generations of our family living there since the late 1800’s. So while we looked forward to visiting both set of grandparents, the experiences we had at each place was very different and yet left cherished memories for me to look back at in my now Golden Years. At my paternal grandparents the Danner’s, my father has one brother, with four children and there was six siblings in my family, so between all us cousins we had lots of fun. We would go camping and fishing up at Lake Cleveland. We would ride around the surrounding areas while we were told stories about our family and what they did to settle this area. There was always at least one night that all the cousins would put on a variety show for our grandparents, and parents. We would sing and show off our musical abilities and some silly made up skits. We did whatever our imagination would allow us to do. At my maternal grandparents, my mother has one sister and two brothers who each had lots of cousins for us to play with. Grandma Smith made the best homemade bread and scones and I am pretty sure she would time it that her bread was in the oven baking when we arrived to the sweet aroma of her bread to welcome us for our visit. I remember being a child of the 1960’s thinking my grandparents had to be rich because they were the only ones I knew who could afford a “Color” TV, all the rest of us had 19” black and white TV sets to watch. I thought it was so lucky that our summer vacation in 1969 happened to be timed when we were at our Smith grandparents to watch Mans first Moon walk on their color TV, and to make it even that more memorable for me was grandma’s homemade milkshakes. Life was so good anytime we were at our grandparents. We always had big family picnics to the park with a family baseball games. The fun and trouble us cousins always managed to get ourselves into was priceless and are the stories we enjoy retelling every time we can get together. My childhood seems like it was only a few years back, and yet here I am 50 plus years later and I am the grandma looking forward to any grandchild visit, and hopefully making some childhood memories they will cherish as much as I cherish my childhood memories. Some family traditions I try to carry on, and creating new traditions too. Some traditions are planned and some just happen in the moment. One new one might have happened on my grandson’s sleepover. 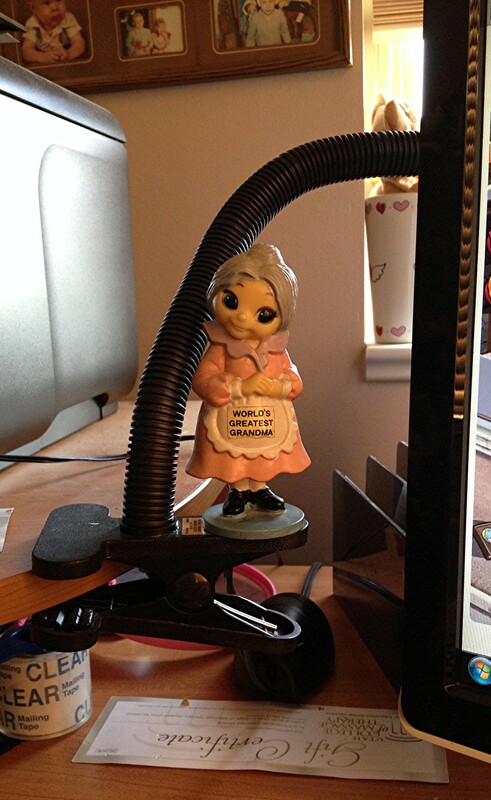 My mother in law had this cute “World’s Greatest Grandma” statue that was given to her by one of her grandchildren, which ended up at our home after her death. 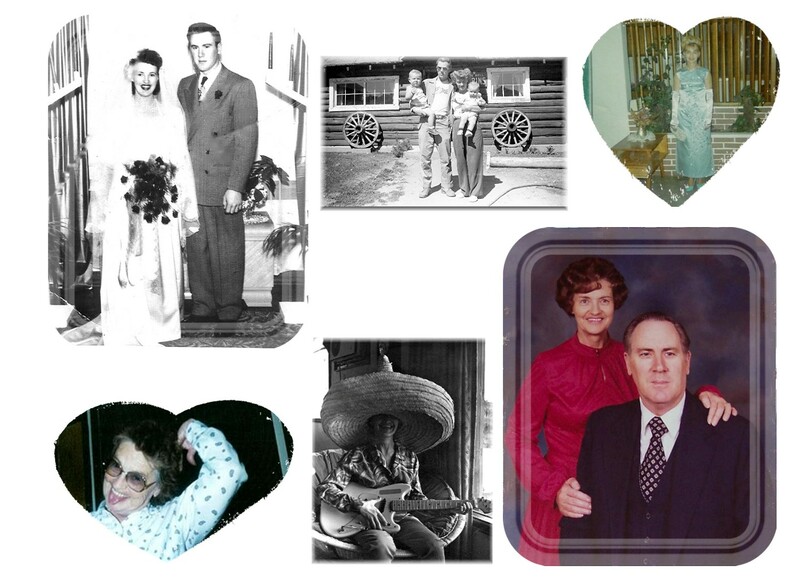 I had it on a bookshelf in our home office by the 8×10 photos of my husband and my mothers and our grandmothers. Ezrick, my six year old grandson found it cute, and kept moving it to different places, like my bathroom counter-top, on the stove, or other places that he knew I would be going and would see it. It became a game of “Where is the Grandma” that he and I started to play. Then when it was time for them to go home I had them clean up and put the Grandma statue back where she originally had been, by the grandmas’ photos. 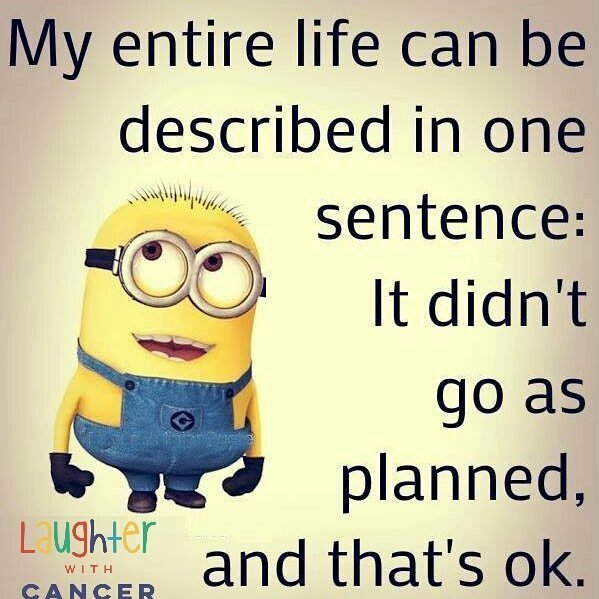 Yet, when I came home and got on my computer there sitting on my desk lamp looking at me was that Grandma that my grandson had left me. My question for this week …. What old and new family traditions do you have? My brother, Fred, was, and to me, will always be, the most amazing person. He would stay on task and followed through with every project he ever did. His genealogy efforts were years of him gathering and recording his research, some the old fashion way, going to places and looking up records at libraries, churches, or other public record buildings. He wrote anyone in the family that might have any leads. He was a great organizer, along with so many other talents he developed though out his life. He also was computer savvy and he followed any leads he could on his research. It helped that his job took him over to England, where that branch of the family had lived. He lived there for the last 25 years of his life, and so he would take weekends, or holiday trips to do some of his research. He had gotten back into some royal family lines, as far back as BC 900. When I got back home from bringing his stuff back from England in 2011, and put in his family data into two of the genealogy sites that I use: familysearch.org (free site) and ancestry.com (a site that cost, but I use the money my father gives me for Christmas to pay for this site) the other family data started to be found. I have found by working several genealogy sites at the same time, I might find one piece of information on one site, and when I put that information into the other sites, could find more information. 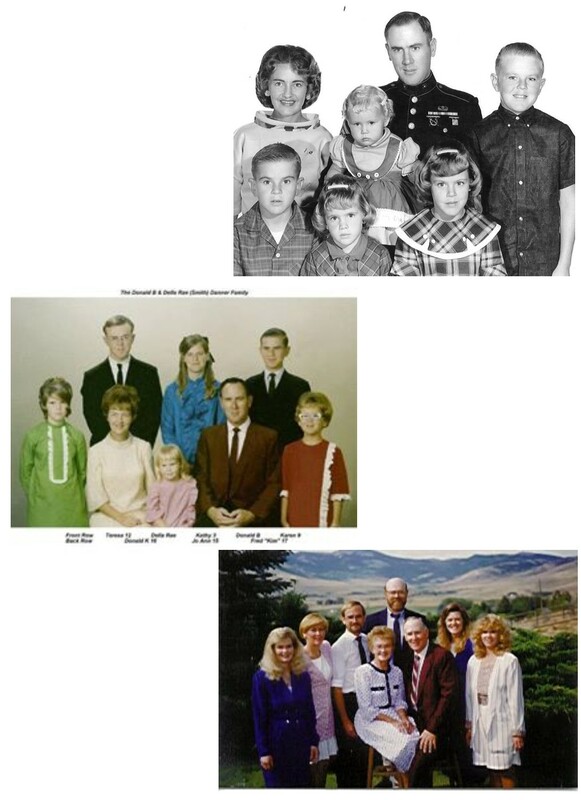 •	For our family, it was some luck that Fred was able to tie us into several royal lines whose family history is a matter of easy access through public records. •	Some of it was not giving up when hitting blocks, and following every lead. •	What started with our Grandma Ellen Barrett Danner in 1925, starting to record her family history, who then passed it on to her two sons and ten grandchildren, than us, working as a group to get each other whatever information we found so we all could keep adding on to the family line, to getting this family line back to “Adam” in the Fall of 2013, it was a group effort that took 88 years to complete. 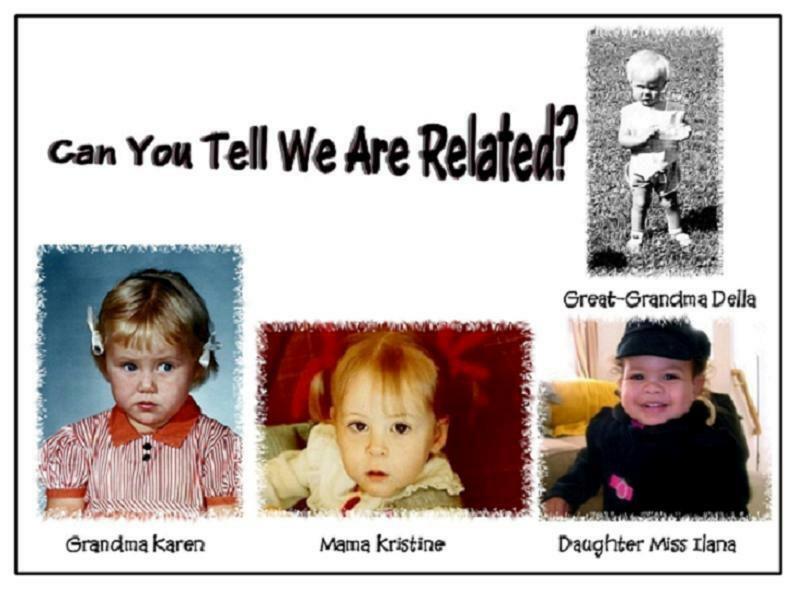 •	With genealogy becoming as popular as it has become, and the fast pace that information is now being recorded on the computer it most likely won’t take other families as long as it did my family to complete different lines on their family’s histories. •	Also, know that some lines like this one, we got lucky, where others family lines, like our Danner line who happen to come from Switzerland during the period of time that much of the records have been destroyed in the many wars that have taken place in that part of the world throughout history, so we might not get back any further than the 1400 that we are at now. •	We can only go as far as recorded documents will allow us. •	I have come to feel any and every bit of family information I can find and learn from is a great source of joy and gives me a sense of family unity; to my past, present and future. 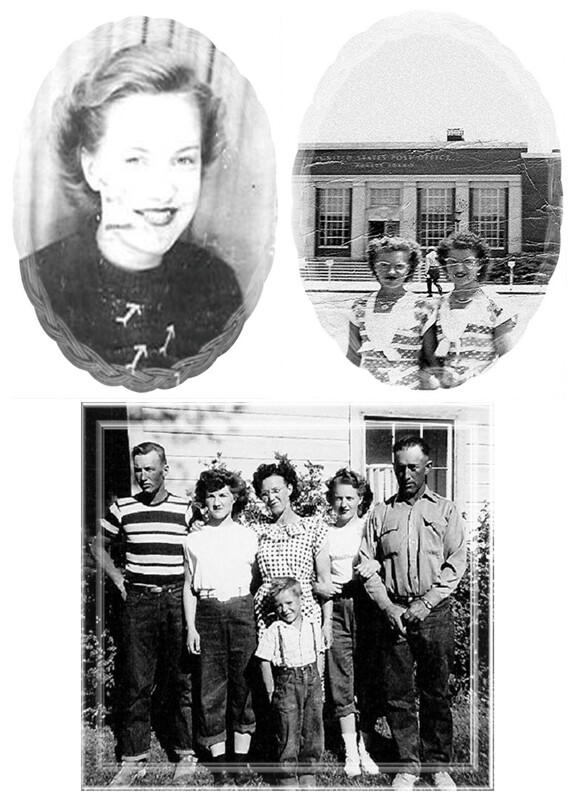 •	For me places like this Blog, is a wonderful source to talk, share, learn, and enjoy the many ways we each go about finding out more about our family’s history. 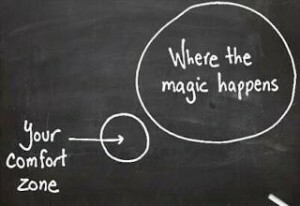 •	Take what you have, stay with doing the research, follow all leads, and don’t give up, or get discourage. You never know where or when you might find another break though in your family history. In doing my paternal family line of the “Danner” family I got back to my 6th great-grandfather, Michael Danner (1696 – 1782) and hit a block. In doing some research I notice that his name came up as Michael Danner, with his brother Jacob Danner; but every so often I found some legal documents when their names were Michael and Han Tanner. It was noted that Michael Danner was among the German Palatines aboard the John Goodman Ship when they migrated to American in 1727. So,I did a Google search of “German Palatines” so I could better understand what they were and how it related to my “Danner” family. I found a load of information on that time period and what hardships my ancestors must have endured. It was during this research I discovered that Michael was the son of Ulrich Danner/Tanner and Chrystina Reitlickerin and their families were forced from their home land of Switzerland in all the wars and hardships that were in that part of the world at that time. This presentation was given at the Annual General Meeting of the UELAC in June, 2006 by Joan Lucas UE to the branch Genealogists’ Workshop. The presentation was prepared by George Anderson UE and it covered information which he found over the years while researching the Palatines. Why did the Palatines leave Germany? Different sources cite different reasons. Here are a few. The Palatinate was the centre of a deadly conflict between the Protestant German states and France during the late seventeenth and early eighteenth centuries. Between 1684 and 1713 there were two wars, the War of the Grand Alliance of England, Holland and the German Protestant States against France, and the War of the Spanich Succession. The War of the Spanish Succession resulted from the death of Charles II of Spain without an heir. Except for four years of relative peace there was almost continuous war between 1684 and 1713. The troops of the French King Louis XIV ravaged the Palatinate, sacking the major cities, burning homes, stealing property, massacring people, destroying crops and laying waste to farms. An unexpected cold winter then occurred in 1709. The people had enough and began to leave even though forbidden to do so upon pain of death by the rulers of the Palatinates. The Palatines fled down the Rhine to Rotterdam, Holland and then to England. The British Government circulated the “Golden Book” which was written by Reverend Kockerthal, throughout the Palantinate. It described British America as the Land of milk and honey. I have been extremely troubled by the fact that both Mr. and Mrs. Ulrich Tanner died in 1700; a child was born in 1700 with no further notes; & their other son, Samuel died in 1697. It seems Michael (1696 – 1782) & his brother Hans Jacob (1698- 1771)Tanner/Danner were the only ones that survived. Could it be that is just how it is? Or did something else happen. Both of the geology sites I am using have different names and dates, but neither have any documents to prove or disprove which one is correct and which one is not. That time period in that area has little records that survived the many wars that have accrued there. So my geologist blogging friends, here is my question for the week. When you find conflicting data, with neither being able to verify with records, how do you go about finding the proof you need; or knowing which one to follow? I try to keep an open mind, and follow all leads as I find them to see where they might take me. But, why is it when I open one door in my “Family” search I end up with more questions than the one I was attempting to solve?